This is one of our standard castles suiting children up to 1.5m tall. This castle is able to fit in most halls and gardens. Jungle theme is perfect for your little explorers girl or boy. 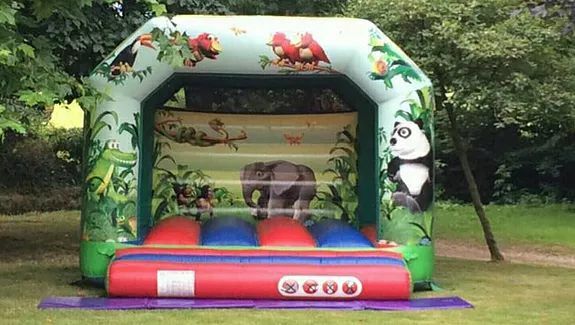 Full of jungle bouncing fun!